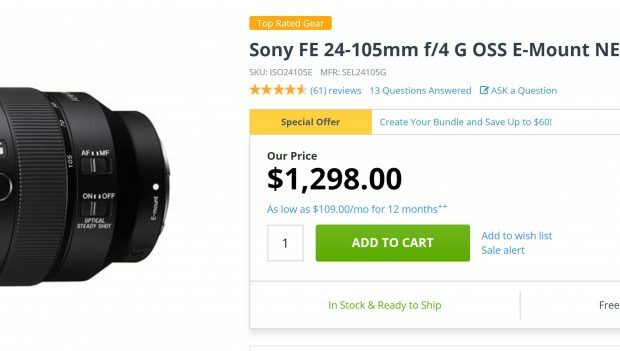 Sony FE 24-105mm f/4 G OSS Lens now In Stock at Adorama ! The long awaited Sony FE 24-105mm f/4 G OSS lens now finally in stock at Adorama Camera. Order ASAP before sold out again. Sony FE 16-35mm f/2.8 GM Lens now In Stock & Shipping ! Previous Previous post: Get Up To A $300 Trade-In Bonus for Sony a9, a7R III, a7R II, a7S II at Adorama !